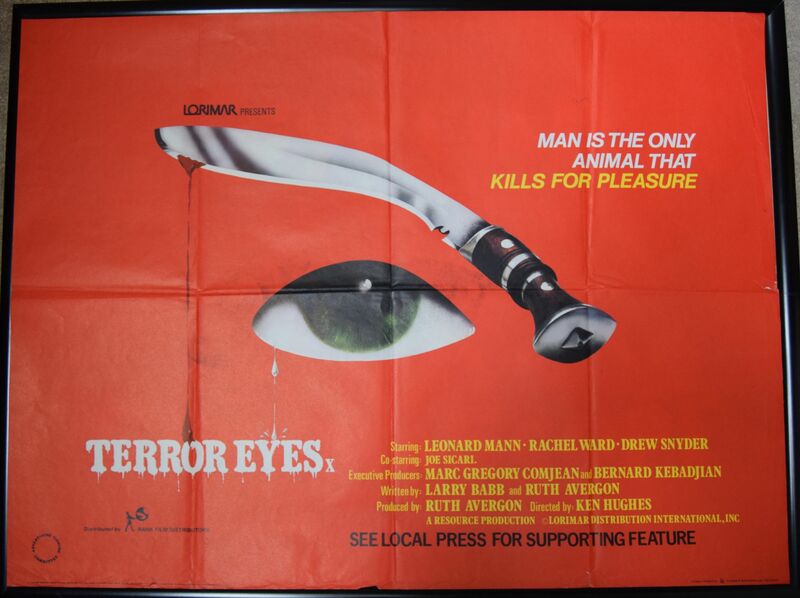 Terror Eyes (Paramount Pictures,1981) UK Quad Poster 30" x 40"
Slasher film starring Leonard Mann and Rachel Ward. 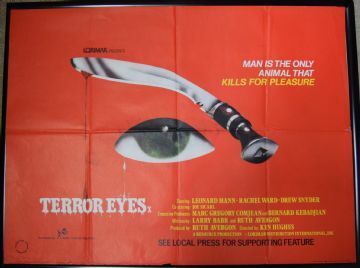 The poster has 1" tear on the bottom right edge fold and a 1.5" edge tear on the right side in the middle. There are also a few edge tears bottom left. Very Good++. Folded.